Roberto Azevedo, the new head of the World Trade Organisation (WTO), on Monday warned in his inaugural speech that body risks being irrelevant. “The world will not wait for the WTO indefinitely. It will move on and will move on with choices that will not be as efficient or as inclusive,” said Azevedo. Azevedo, the WTO’s sixth Director General who took office on September 1, made the remarks at a special meeting of the organisation’s General Council. “The perception of the world is that is we have forgotten how to negotiate. The perception is paralysis. It is essential that we breathe new life into the negotiating process. That’s why success at the Bali ministerial is vital,” he said. China and India are locked in dispute against the US and the EU which resulted in the stalling of the 2011 Doha Talks of the WTO. 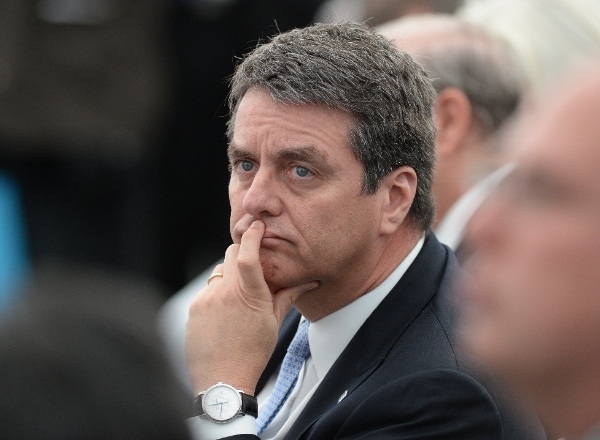 The new WTO chief said on Monday that he has ideas of how to break the deadlock but declined to reveal them. India’s chief negotiator at the WTO said in July that if talks on the G-33 proposal for developing countries do not move forward, the Trade Facilitation Agreement (TFA) may also not see any progress. “India is looking for a possible outcome in Bali meet. But we are also circumspect that if G-33 proposal and some of the developmental elements do not move, then TFA also may not move,” said Rajeev Kher, at a WTO function in Delhi. The G-33 proposal, raised by developing countries like India and China, would lift the limit on subsidised food stockpiling to support poor farmers. Azevedo said on Monday that many economies were still struggling to recover from the effects of the financial crisis, while others continued to emerge, forming new trading relationships and shifting the landscape of global economy. Revising previous estimates on Monday, Azevedo said world trade is expected to grow by 2.5 per cent this year and 4.5 per cent in 2014. He said the multilateral trading system still “remains the best defence against protectionism and the strongest force for growth, recovery and development”. In Russia last week, G20 leaders gave their strong backing to the efforts to reach a deal in Bali, and now “the biggest challenge is to translate those words of commitment into progress” stressed Azevedo. “If you want to keep the fight against protectionism updated and effective, you have to update disciplines. So in that sense, I think it is important that WTO shows it can once again negotiate multilaterally and can update the disciplines regularly,” said Azevedo. Azevedo was appointed to a four-year term by the General Council on May 14 after three rounds of selection, replacing Frenchman Pascal Lamy. Great to learn that Mr. Azevedo has ideas on how to break the deadlock between the North and South, so to speak. Hopefully, these will be revealed sooner than later, to assist in the trade negotiations, going forward. The time has come to actively recognize and include more voices from BRICS and the rest of the emerging markets, given their improved growth and development/contribution to the global economy, especially in the recent past.